Draymond Green is once again under fire for his on-court actions and this time the Golden State Warriors are worried it could lead to a suspension. The latest incident came in the fourth quarter of the Warriors’ Game 4 win when Green got tangled up with LeBron James. After Green was shoved to the ground, and as James attempted to step over Green, Draymond swung his arm up, appearing to strike LeBron in or near the groin. The league has investigated the incident, and according to Marc J. Spears of ESPN, citing a source, there is “growing concern” from the Warriors that Green will be suspended. Game 5 will be Monday night. No call was made on the play until the players got tangled up on the rebound. At that point, the officials gave each player a common foul. However, the league can elevate the call under review. This is huge for the Warriors and Green. 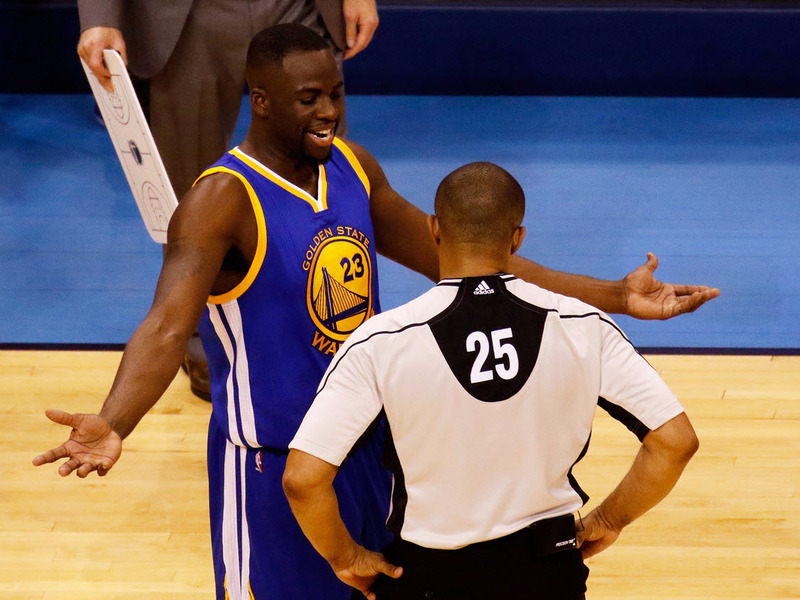 If the NBA were to assess a technical or flagrant foul on Green, he would be automatically suspended for one game. If the league determines this is worthy of a flagrant-2, the more serious of the flagrant fouls, Green would be automatically suspended for two games, thanks to his previous incidents, including a kick to the groin of Steven Adams of the Oklahoma City Thunder in the Western Conference Finals.